The Hayes Homestead: My new toy!!! 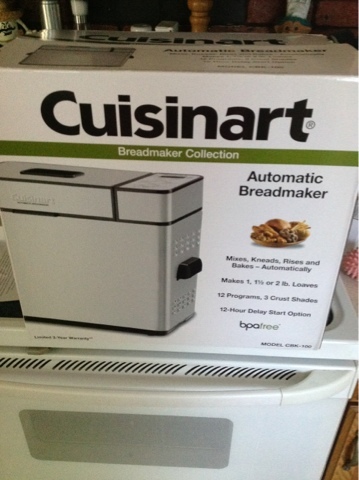 I've been wanting a bread maker forever. I thought for sure I was getting one as an anniversary gift, since when asked what I wanted that's what I told Jason, but I got a ginormous electric griddle instead (which I LOVE). Yesterday we were out shopping and I asked if we could just go and look at the bread makers (ulterior motive? I think not!). We saw this beauty and it just happened to be on sale (and I had a coupon!). Jason took one look at it and said "let's get it!". I sure love that man!